Our product range includes a wide range of water chiller unit, oil mist lubrication unit and spindle parts. Banking on our enriched industry experience, we are engaged in offering a huge gamut of Water Chiller Unit. These high grade chiller units are designed calibrated and approved to operate with a particular precision spindle assembly. 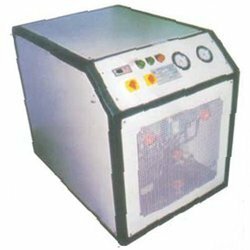 The constant load and continuous functioning of the Spindle lead to the generation of lot of heat. For proper functioning and durability of the spindle, it is very essential to remove the excess heat and this is done through a separate chiller or cooling unit. These add life to the spindle and they are typically used in long cycles. Chemical / Pharmaceutical process water chilling. Printing Ink / Paper Waxing cooling. Bleaching / Dyeing Industry water chiller. 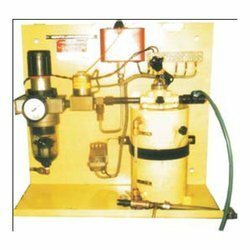 We are engaged in offering a wide range of Oil Mist Lubrication Unit. When very high speeds are required or high ambient temperatures and humidity are present an oil mist or oil + air lubricator is utilized to keep the spindle running at peak performance. The high volume of air provides additional cooling of the bearings. These Oil Mist Lubrication Unit produce a fine mist fog of air particles which are introduced through the spindle housing into the rear and front anti-friction bearings to provide proper lubrication and to carry away heat generated by the bearings and stator/rotor. 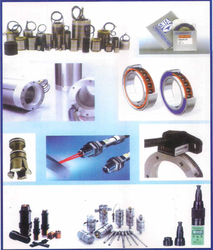 We are engaged in offering a wide range of Spindle Parts. These spindles are driven by a tangential belt system and used widely in milling applications. They are available in various sizes with a wide variety of speed and power range. The belt-driven milling spindles with their design flexibility, diversity, and performance are suitable for a wide range of milling applications. Its main purpose is to make the machined surface flat, angular or curved or can be milled to any combination of shapes. The milling spindle helps in rotating the cutter, and feeding it. Milling spindles are available with or without power draw-bar for machine tools. Looking for High Frequency Spindles Accessories ?